I was recently introduced to a wonderful cause, Bloggers for Birth Kits, by a fellow doula, friend and maternal health advocate. Since finding out about this initiative, I have really begun to think about how blessed we are in this country when it comes to our birth conditions and how simple it is to improve the conditions for mothers who would otherwise not have the same luxuries that we have. Recently, I gathered together with a few doula friends to make 20 birth kits to send to this amazing program. Not only was it a chance for all of us to get together, eat great food, talk about our lives and birth experiences, but we were able to give back in a meaningful way that has enriched all of our lives, as well as the lives of others. 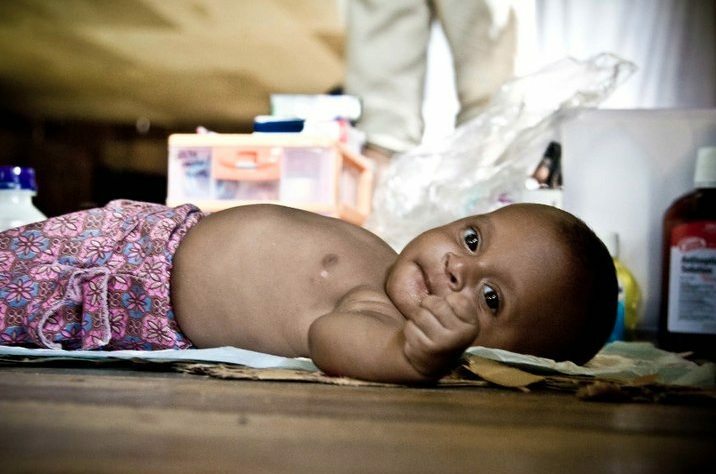 It is a startling statistic that 1 in 7 women in rural Papau New Guinea don’t survive childbirth. However, through the distribution of clean birth kits along with maternal health education, Bloggers for Birth Kits is trying to alter these statistics for the better. Each birth kit contains basic items such as gauze, plastic gloves, soap etc. which help prevent infection, one of the leading causes of maternal mortality in developing nations. These kits are then distributed by way of the YWAM Medical Ship to Papau New Guinea, in order to help with the United Nation’s Millennium Development goals. It is so simple to give back and for only $2-3 you can assemble a birth kit yourself or simply donate, for a birth kit to be made on your behalf. I am so inspired by Adriel Booker (the founder of Bloggers for Birth Kits) and I know that her cause will continue to motivate me and others to find meaningful ways to support maternal health. Every contribution helps to bring change to these mother’s lives and the lives of their children. 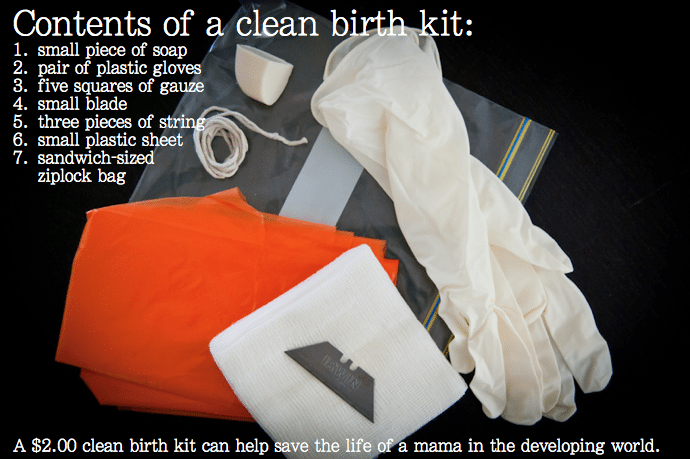 As of August 2012, over 7,000 clean birth kits have been donated! Let’s keep this number rising and show our support by reducing maternal mortality and in turn, enriching our lives through that act of giving.